Is it not better to prevent yourself from getting sick by living a life of wellness than to get sick and then try to get better? Your goal should be wellness! Living a life on our Wellness Diet improves health, energy and wellbeing, whilst reducing the risk of developing chronic disease. 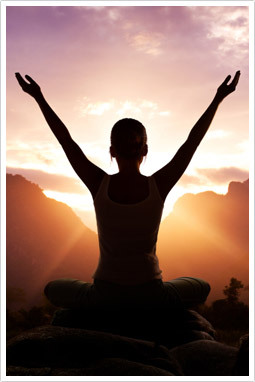 Our Wellness Diet promotes positive health, and positive health promotes a healthy mind, body and spirit. Remember also that humour induces positive emotions that have beneficial effects in the absence of laughter! When Was The Last Time You Took Time Out To Relax? Taking regular time out to relax is also vital for wellness. Relaxation activities, such as yoga, meditation or simply taking time out to read a book or spend time with family or friends, will increase the levels of chemicals in your brain that make you feel happy. Diet and lifestyle are also extremely important for long-term wellness. How many times have you started a diet with the best of intentions, only to find it too difficult to stick to for more than a few weeks? Let’s be honest, there is only so long you can live on a fad diet. In order to achieve long-term goals, what you need are positive lifestyle changes. We have all heard the saying “you are what you eat,” but the truth is, “you are what you most consistently eat.” The best way to achieve your goal of wellness is to consume a diet you can sustain for the long-term. Your goal of wellness can be achieved by combining our Wellness Diet with regular exercise, relaxation, fun and key nutritional supplementation. If you would like to improve your energy, health and wellbeing please come in and see us today. Our highly qualified Naturopaths can offer guidance in living that promotes optimal health long-term. Our aim is your wellbeing, improvement and self understanding. You can make an appointment online, email us, or phone us on (03) 96862566. Our clinic in 49 Chetwynd St, North Melbourne, is open six days a week.